This kit solves the problem of fuel starvation in your vehicle caused by making hard right turns, and will protect against possible fires and engine damage. If you are experiencing starvation than this is the best, most economical way to control fuel starvation with no need to baffle, modify, or change your current fuel tank. 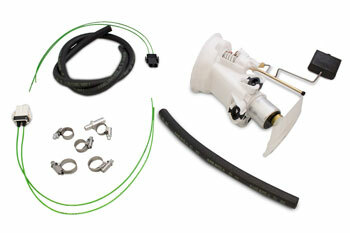 This kit is intended for race use, it may not work properly with stock fuel gauges and wiring harnesses.